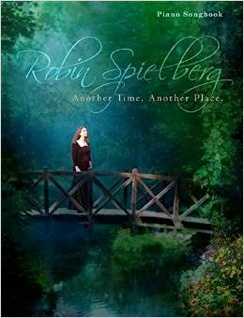 2015 / Spobs Music, Inc.
Another Time, Another Place is the companion sheet music book to Robin Spielberg’s 2015 album by the same name. Spielberg’s first album since 2008’s A New Kind of Love makes this a major musical event! I participated as editor of this book, so I can confidently say that the sheet music is a note-for-note transcription of the recording. This beautiful book has full-color photos on the front and back covers, is printed in the 9”x12” format, and has a stapled binding that stays open on the piano without having to brace it with other books. The printing is crisp and dark on bright white paper, is roomy, and easy to read. 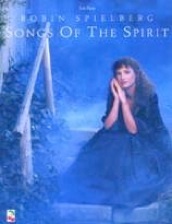 All but one of the eleven songs are original compositions, and the exception is Robin’s heartfelt arrangement of Puccini’s “O Mio Babbino Caro.” I thoroughly enjoyed the proof-reading and editing process for this book, but not nearly as much as I enjoyed sitting down and playing the finished book from cover to cover. Looking at this book as a teacher, I think most of these pieces are somewhat easier to play than those in Robin’s previous books. There are a few tricky passages, but most pianists at an upper-intermediate or early-advanced level should be able to master this music with some practice. 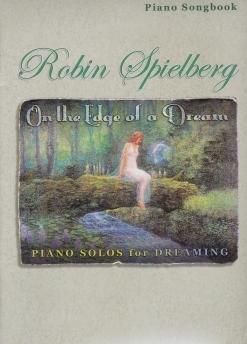 More advanced pianists will enjoy the beauty and expressiveness of Robin’s music. Metronome settings and expression guidelines/instructions are included, as is a full-page biography of the composer. There are no reaches of more than an octave and most of the pieces are in relatively easy keys (see below). The book is available from robinspielberg.com and Amazon, and I give it my highest recommendation.